Posted by thetickthatbitme in Choline Diet, Whole Person. I’m excited to be visiting my parents this week, especially because their kitchen is always filled with fresh fruits and vegetables. I missed the Central Coast’s superior tomatoes! 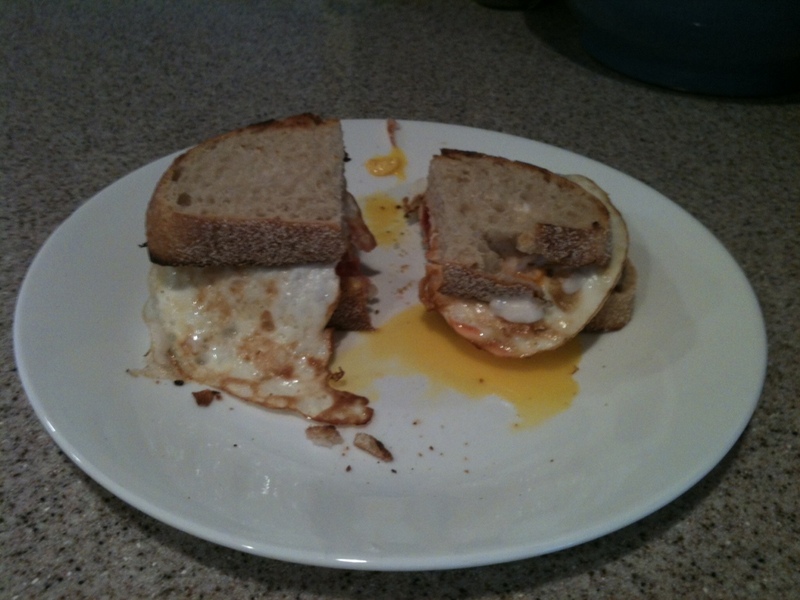 Tomato and egg sandwich on toasted sourdough. Its yummy I am sure! !